These low carb crepes are served with chocolate hazelnut spread and whipped cream. Delicious!! 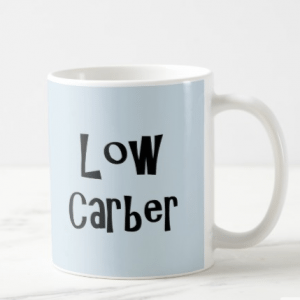 If you’ve been on the low carb scene for a while you may have seen several different ways of making low carb crepes. This is my favorite version and it’s rather like a variation of the cloud bread recipe! 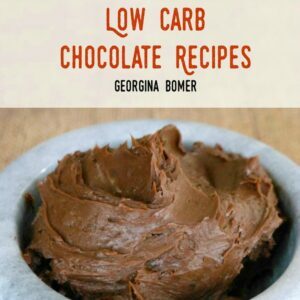 Add eggs, cream cheese, water, low carb sweetener, and coconut flour to a blender, and pulse until smooth. Heat a small non-stick skillet over a low-medium heat and spray with non stick oil spray or a little dab of butter. Pour one quarter of the batter into the pan – approximately a ¼ cup of batter per crepe. 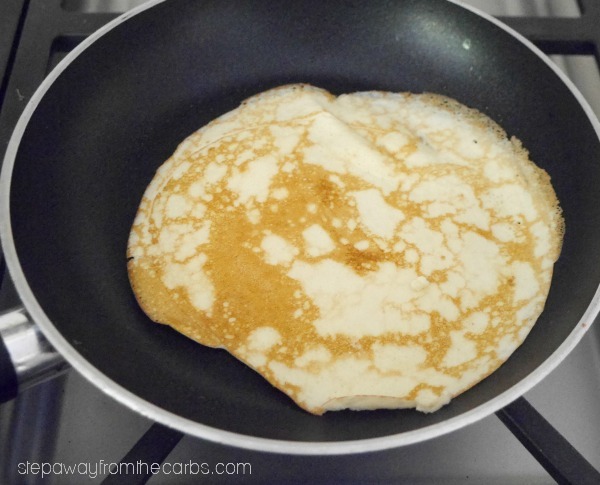 Once the base has sealed, carefully edge the crepe away from the pan and flip it over. Repeat with the rest of the batter to make four crepes. To assemble, spread one tablespoon of low carb chocolate hazelnut spread in the center, then spray on a small amount of dairy whipped cream – the canned cream (like Reddi-wip) does contain sugar, but it only has 1g net carb per two tablespoons – and you really only need one tablespoon per crepe! Or you can just whip your own without the sugar – it probably depends on how many crepes you want to make! As for the chocolate hazelnut spread, check out my comparison review or try making your own: Homemade Chocolate Hazelnut Spread from All Day I Dream About Food. 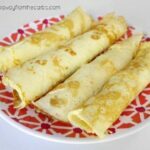 Then roll it up, assemble the other three crepes, and serve! 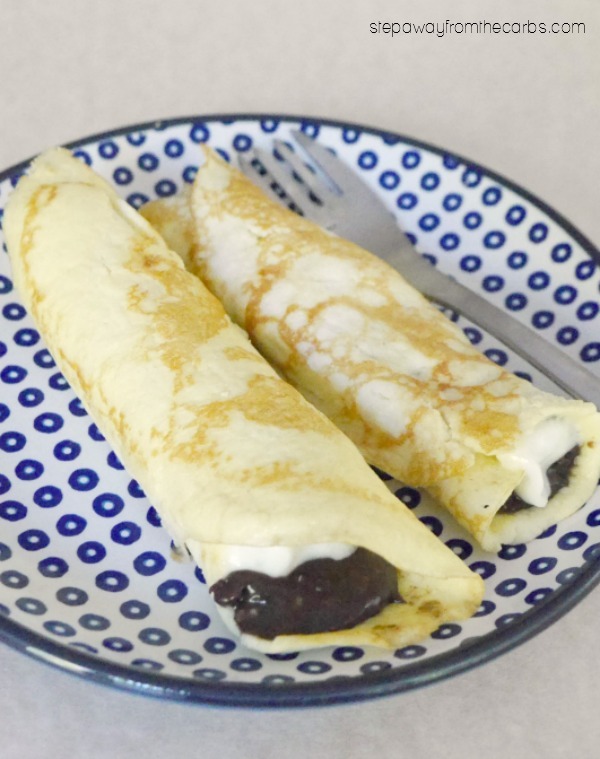 Try serving these low carb crepes with sugar free chocolate hazelnut spread and whipped cream. Delicious!! Heat a small non-stick skillet on a low-medium heat and add butter or spray. Add ¼ cup of the batter to the pan. Let the base seal then carefully flip over and cook the other side. 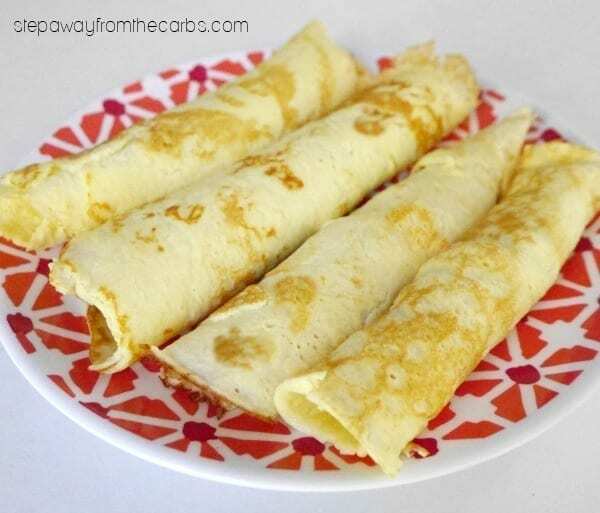 Transfer to a plate and cook the remaining three crepes. These taste great but were so fragile they would always fall apart whenever we tried to flip, even being very gentle. Any tips? What size skillet did you use? If the crepes were being spread too thin then that might be the reason they were falling apart? 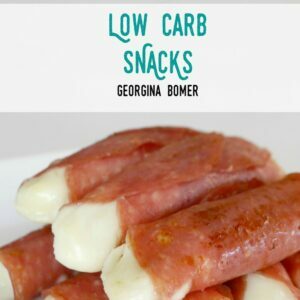 Theses were great. I omitted the sugar substitute and made without. My first crepe was too thin and I cooked it on low heat, once I made the next ones a little thicker and cooked on high heat they turned out great. I filled them with leftover chicken, feta, spinach, green onion. Great meal. I will make again. Thanks for the recipe.